Last edited by C!C@; Feb 16th, 2014 at 17:58. 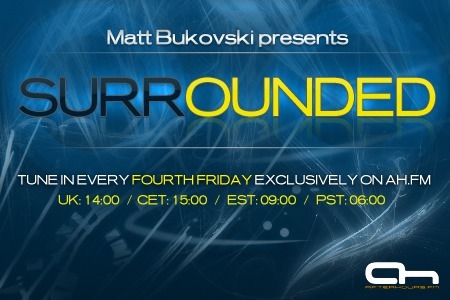 It's gonna be the best uplifting Surrounded episode ever (in my opinion, of course) Can't wait till you hear this set! Hello everyone, thanks for tuning in to the new episode of Surrounded. I'm so sorry that the previous episode wasn't aired, it was due to my personal problems. So... here we go!!! Hope you'll like today's Surrounded!